Ortiz, Solomon P. Americas Third World: Colonias." State Government News 32 (January 1989): 20-22. 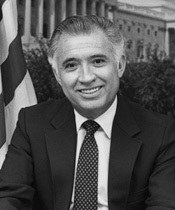 Solomon P. Ortiz in Hispanic Americans in Congress, 1822-2012. Prepared under the direction of the Committee on House Administration by the Office of the Historian and the Office of the Clerk, U.S. House of Representatives. Washington: Government Printing Office, 2013.